See the comment of friendship. From the collection of my grandfather. Also many thanks to rarcand for this link. The site also show another picture of the ship but not as the SEEWOLF which sank at Dieppe after a fire but was raised 3 days later. Many thanks to friendship for the detailled information. Does anyone know if there are any photos of her as the Seewolf? 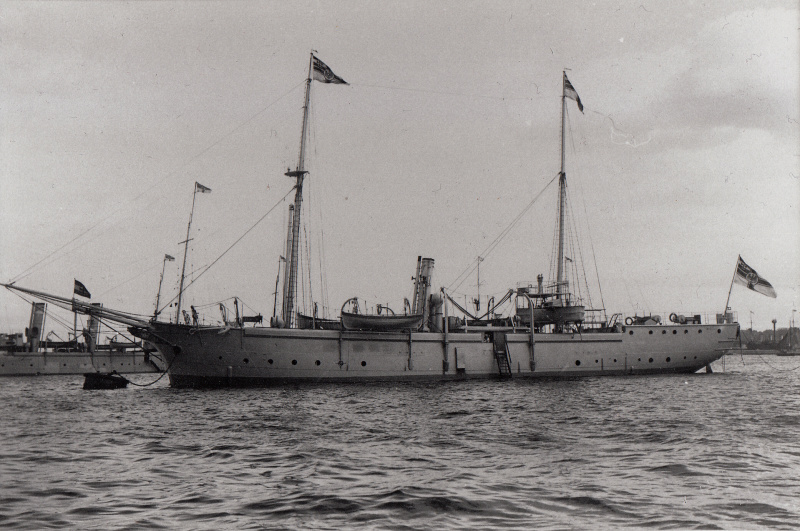 Gunboat HYÄNE (Kaiserliche Marine), here from 1898 as survey ship, out of service at Reichsmarine, 15-7-1920 sold to Cuxhaven-Brunsbütteler Dampfer AG, rebuilt to three-masted schooner with auxiliary engine SEEWOLF, + loss near Dieppe 2-5-1924 because Charge fire itself sunk. This photo has been shown 497 times since it was added to the site.